I am so excited to share some GREAT news! 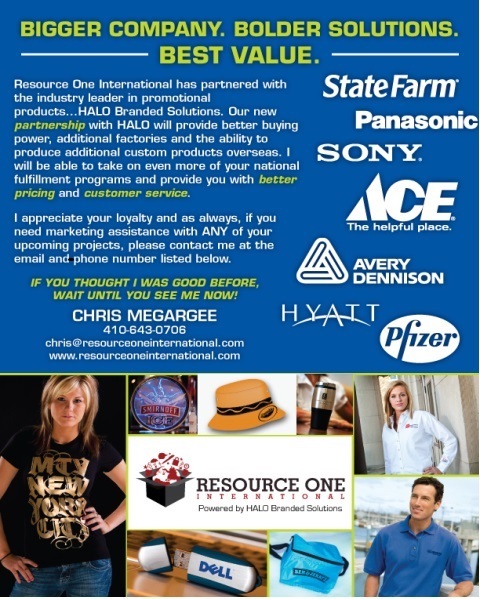 I have had the exceptional good fortune to partner with Halo Branded Products. I will stop right here for a minute and say there will no ownership changes and no staff changes. See the news release below and a power point attached that will give you a little insight. HALO is a company that has been around for 60+ years and has over 40,000 satisfied clients boasting sales of over $250 million. In short, we are well funded and well sourced and socially compliant and standing by to say: If you thought we were good before, wait till you see us now.